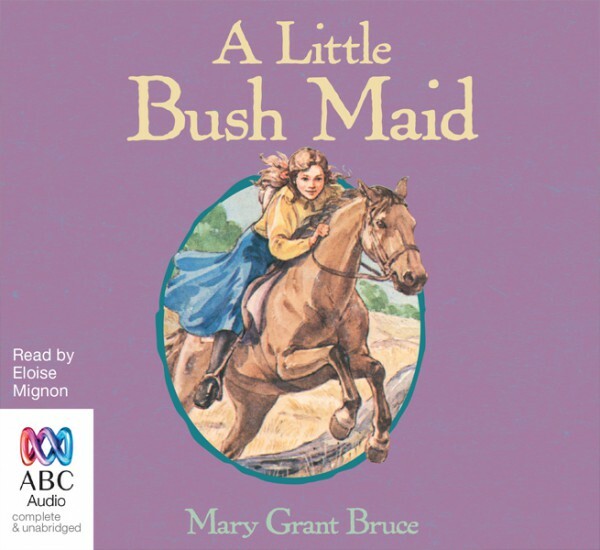 A Little Bush Maid is the story of 12-year old Norah Linton set on the large and prosperous cattle station called “Billabong” in country Victoria in the early 1900’s, covering her life with her widowed father and doting station hands with lots of adventures and surprises, especially when her brother Jim is home on holiday from boarding school with his friend Wally. The story is told in simple straightforward fashion, infused with good humour and compassion. The ABC Audio book of this story, published by Bolinda in May 2015 using the original book’s text, is available for download or on Compact Disc. There is also an eBook edition, published by HarperCollins Publishers Australia in May 2015. This book is under copyright owned by the Mary Grant Bruce Family Trust.